Happy spring, happy equinox. These are a few of the plants that were in bloom on bloom day. The seed grown Sidalcea has been in full bloom for a couple of weeks, the groundcover selection is not blooming yet. 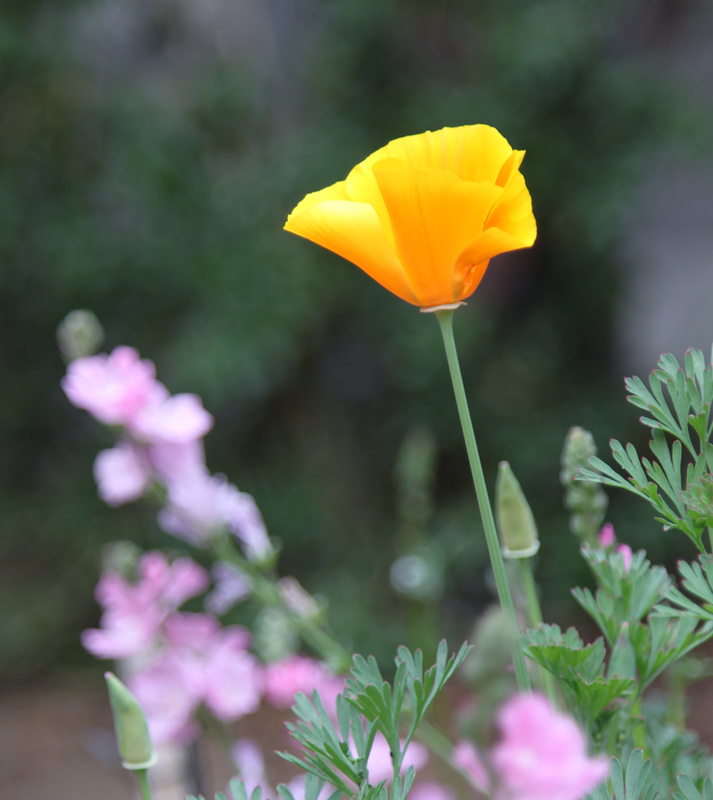 The first California poppy opened in late February. Established ones are blooming, new ones are still too small to bloom. 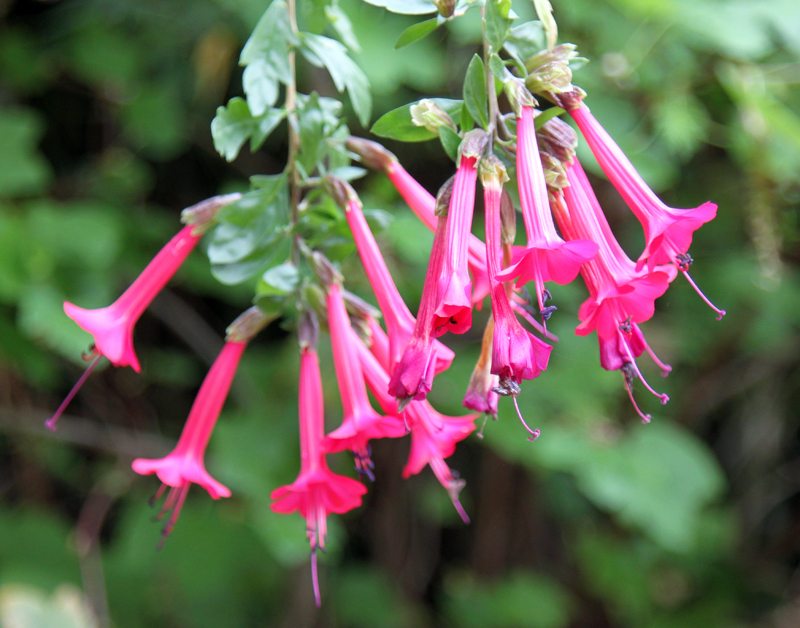 The Sacred flower of the Incas has several nice bloom clusters. The Babianas are in full bloom. I have these in my garden because a past client didn’t like the way the old leaves stay around after they go dormant. His loss, my garden’s gain. I like them. Salvia sonomensis looks great right now. 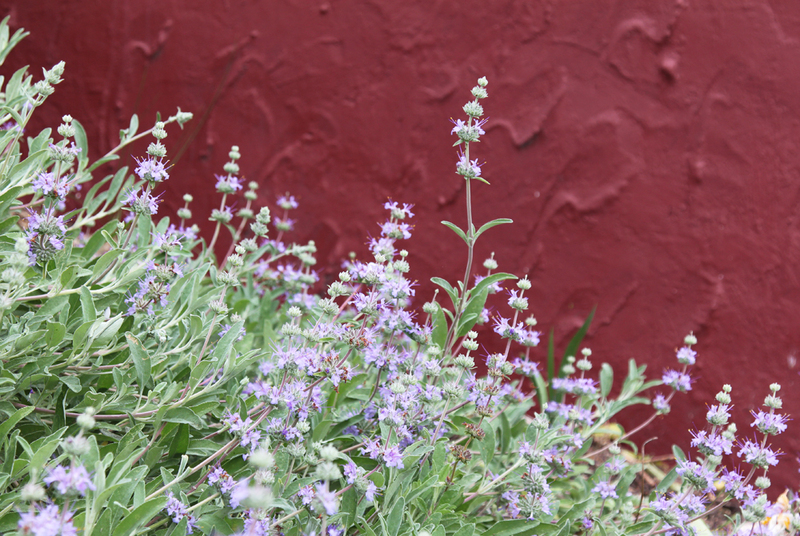 It’s my favorite of the native salvias, along with ‘Bee’s Bliss’, ahead of the more upright S. clevelandii types. 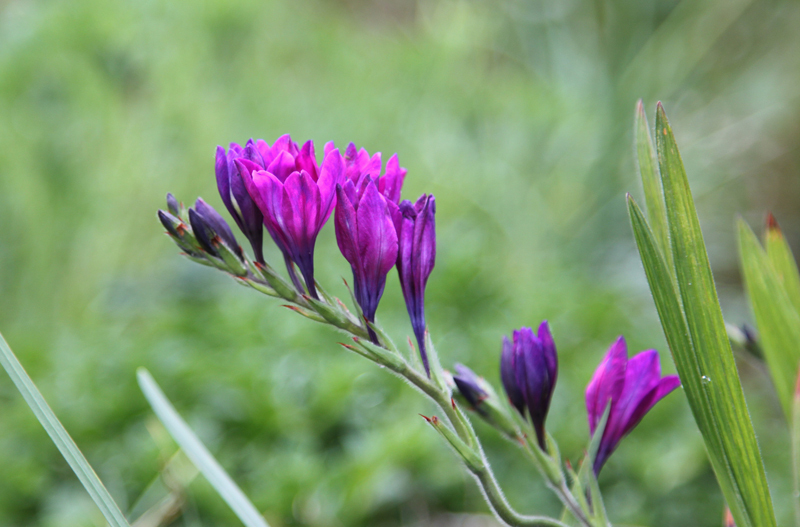 Check out bloom day at MayDreamsGardens to see what was blooming for other gardeners a few days ago. The full bloom list for our garden is below. Cercocarpus betuloides has a few flowers and beautiful new foliage. Mimulus cardinalis and Lilium pardalinum have their foliage out. Calycanthus is leafing out. The Fig is leafed out. Western Azalea is budding. Redtwig Dogwood is dormant. Acer ‘Japanese Sunrise’ is leafing out, Acer palmatum and Acer circinatum are dormant. This entry was posted on Saturday, March 21st, 2015 at 9:19 am and is filed under garden bloom day, plants. You can follow any responses to this entry through the RSS 2.0 feed. You can leave a response, or trackback from your own site.